There are easily almost a thousand (possibly even more) strains of cannabis out there today. What a time to be alive, considering that sometime in the history of cannabis there was just one strain to choose from: a landrace. With all the choices out there, we’ve decided to make a list of the greatest cannabis strains of all time. 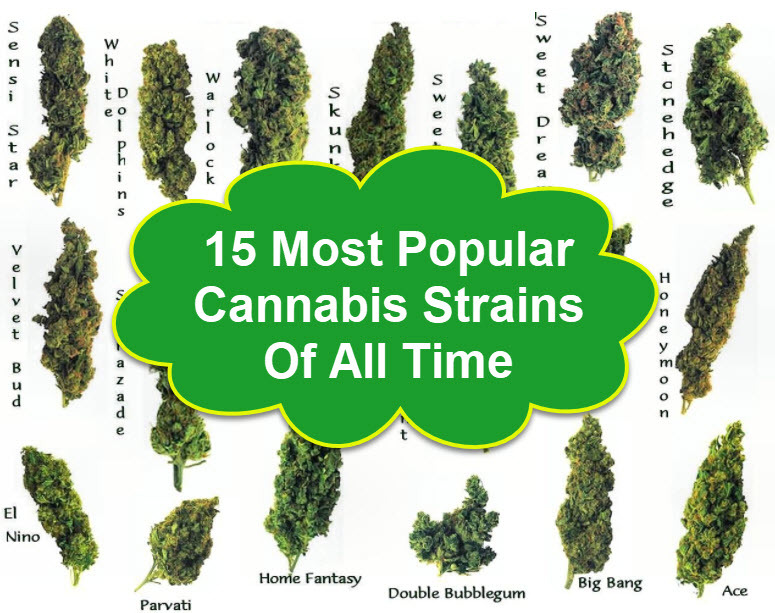 This list includes sativas, indicas, and hybrids. Despite the fact that there are new strains popping up virtually every week, there will always be legendary strains that will never go out of style. These marijuana strains are recognized worldwide for various characteristics such as quality, medicinal benefits, effects, popularity, and potency, and more. If you’re new to the world of cannabis and need a little help navigating the deliciously overwhelming world of strains, this list is a great place to start! Blue Dream is a name that you’ve probably heard of, even if you’ve never used pot before. Yes, it’s that special a strain. Blue Dream is a sativa-dominant hybrid originating from California that is considered legendary in the world of cannabis. With a THC content reaching as much as 18% and a strong sativa-leaning effect, Blue Dream balances a nice cerebral buzz with a mild indica couchlock. It’s a great daytime hybrid strain, an excellent choice for social use, and many users report feeling productive with Blue Dream. It’s also easy to find, Blue Dream is available in virtually almost every city that sells legal pot.